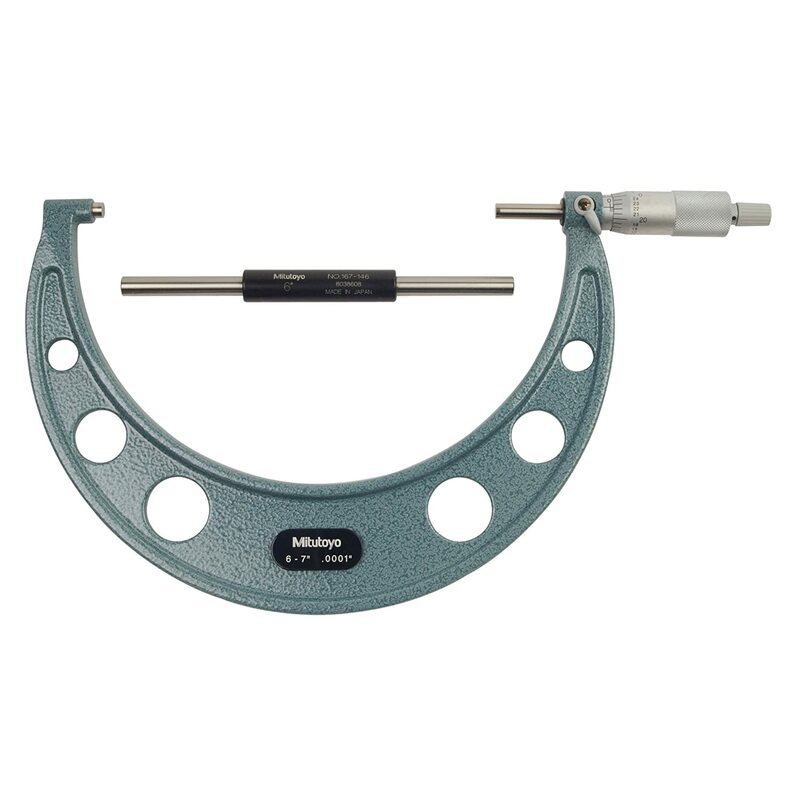 The Mitutoyo 103 series outside micrometer has a vernier scale in inch units for taking precise outside diameter (OD) measurements, and a ratchet-stop mechanism for uniform pressure during adjustment. The micrometer’s frame has a baked enamel finish for protection and durability. The vernier scale on the thimble and sleeve is graduated to 0.001”, with a satin chrome rust- and glare-resistant finish. The spindle and anvil have flat measuring faces and are carbide-tipped for wear resistance. A spindle lock helps provide secure locking of the measurement position.